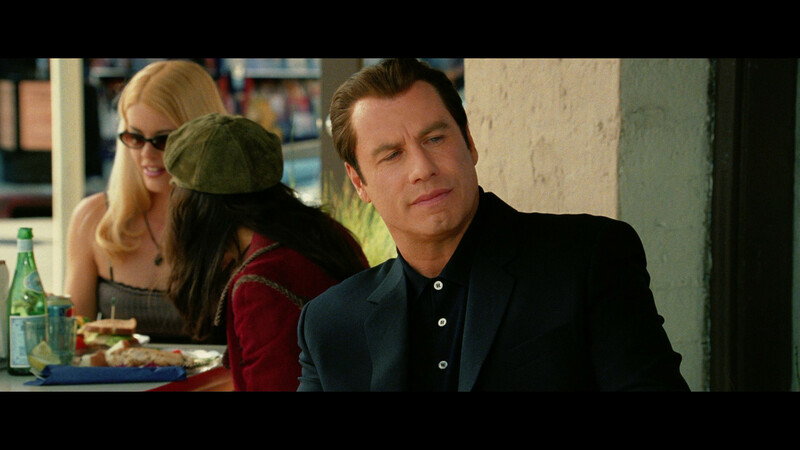 Plot Synopsis: When Chili (JOHN TRAVOLTA) decides to try his hand in the music industry, he romances the sultry widow (UMA THURMAN) of a recently whacked music exec, poaches a hot young singer (CHRISTINA MILIAN) from a rival manager and discovers that the record industry is packin’ a whole lot more than a tune! “I hate sequels.” That is the first line of this overdue but highly unnecessary sequel to the modest hit, and now semi classic, Get Shorty, a fun tongue-in-cheek take on the movie industry, second best only to The Player. For whatever reason, they waited 10 years to release this sequel, Be Cool but nothing about this movie is a whole lot different from the first one; all they did was replace movie industry with movie industry (cameos and all), Renee Russo with Uma Thurman (more on that in a bit), Barry Sonenfeld with F. Gary Gray and a story that is half-baked and too many characters that A) were not funny and B) completely useless and only served to pad the film. 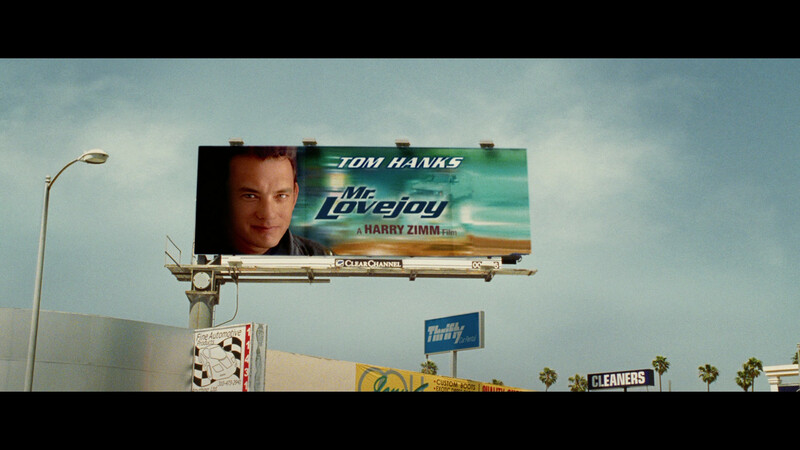 As I mentioned, as a pseudo replacement for Russo’s character from Shorty, we get what was the film’s only marketing scheme: not as a sequel to Get Shorty but the re-teaming of John Travolta with his Pulp Fiction sultry co-star Uma Thurman and the filmmakers had no problem trying to capitalize on this fact with a dance scene between the two. I don’t mind when co-stars re-team in different movies as sometimes it can work (Tom Hanks and Meg Ryan in You’ve Got Mail for instance) but here they don’t have the same chemistry and of course the same biting Tarantino dialogue which made that relationship work whereas in Be Cool it all seems half-assed. Speaking of half-assed, while Travolta found a resurgence during the 1990s, it was the early to mid early 21st century where he once again floundered with such duds as Swordfish (although I enjoyed it), Domestic Disturbance (also starring Be Cool co-star Vince Vaughn), The Punisher (again, not terrible), Wild Hogs and Hairspray, though to be fair he did had some OK/good smaller films in between. 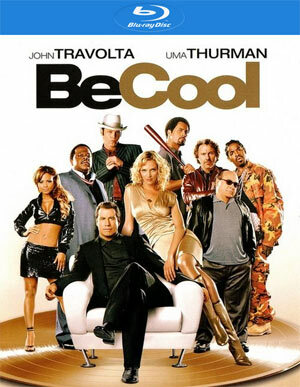 But Be Cool demonstrated why some sequels should not have been made and it also shows money talks which I’m certain it spoke fairly loudly to Travolta. As far as the supporting cast is concerned, I don’t think anyone was harmed in terms of their careers. I know Christina Milian had dreams of becoming another singer/actress co-starring in the truly awful Pulse along with several one-off appearances on a variety of television shows (“Smallville”, “CSI”, etc). I don’t she’s bad but she doesn’t have the necessary presence to carry a film be it in a starring capacity or a supporting one. 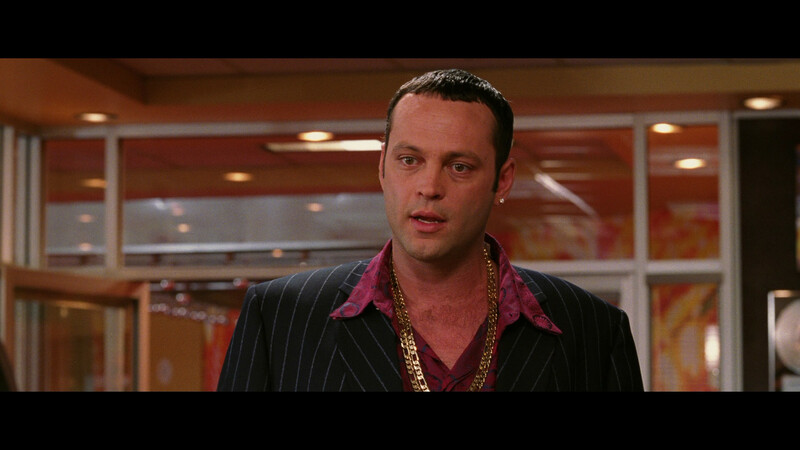 Then you have Dwayne Johnson (when he still wanted to be credited as “The Rock”), Vince Vaughn and Cedric the Entertainer in roles that were at best passable. This isn’t to mention the variety of cameos/smaller parts which I don’t care to get into since it’s not really worth it. I have to wonder what the message for this film was with Travolta’s opening monologue denigrating sequels and how unnecessary they are. Obviously this was Chili Palmer talking but I guarantee you by the end the audiences are very well in full agreement with him. This takes me to Scream 4. I liked that movie a lot because it at least put behind the poorly conceived third film but based on the box office, or lack thereof, it was obvious the franchise came and went and the third sequel was a few years too late. Same can be said for Be Cool taking a decade to reach the big screen and was received with mediocre reviews and limited box office haul ($55 million after a $23 million opening weekend). 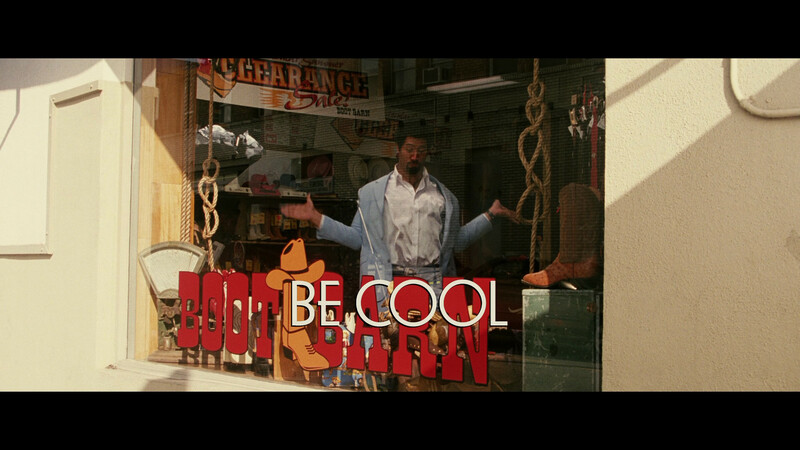 Overall, Be Cool isn’t a bad movie per se, just one that wasn’t necessary and worse of all, uninspiring. 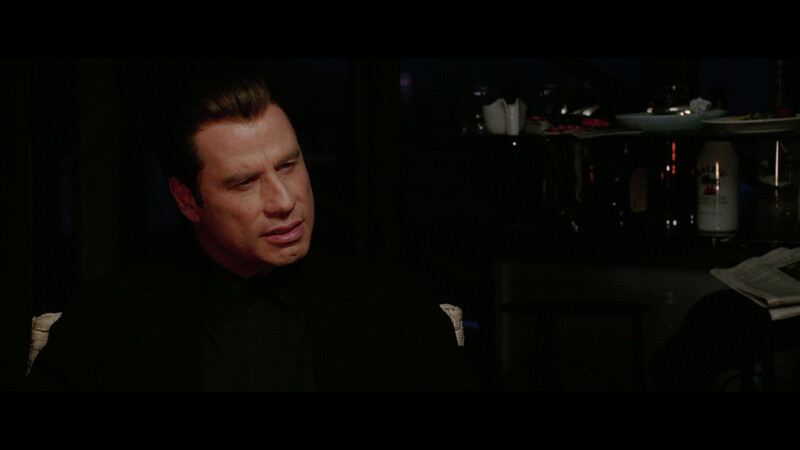 Travolta looked he was merely going through the motions and taking a nice payday while the supporting cast, for as unmemorable as they are, seemed to be having a fun time of it. All the features from the DVD copy have been ported over. Be Cool, Very Cool: Making of Documentary (21:36; SD) – This is your usual behind-the-scenes featurettes where we get comments from the cast and crew talking about the Chili Palmer character as well as about the film itself. Basically, you’re not going to learn anything about the film or why it needed to be made. Gag Reel (7:20; SD) contains line flubs and general on set goofing off galore. Music Video (4:07; SD) for “You Ain’t Woman Enough to Take My Man” by Elliot Wilhelm (The Rock). Close-Ups (TRT 24:52; SD) – There are 5 separate featurettes focusing on different characters in the film including Andre 3000, Cedric the Entertainer, The Rock, Christina Milian and Dance Partners (Travolta/Thurman). Be Cool is presented with a 1080p high-definition and in its original 2.40 aspect ratio. The detail level was alright but at times the skin tones looked pretty flat and even rubbery, so it is a mixed bag, but overall it’s a solid transfer. Additionally, I did notice there was a fine amount of natural film grain which lends to some scenes looking like a proper Blu-ray release while others were bland. Similarly, the DTS-HD MA 5.1 track is serviceable and only makes its presence known during the music scenes, though dialogue levels, coming through the center channel, were pretty good as I could understand what everybody was saying. While it’s not a great track, and I have heard better from movies released within a similar timeline, its decent enough and a slight upgrade over the DVD’s standard Dolby Digital track.